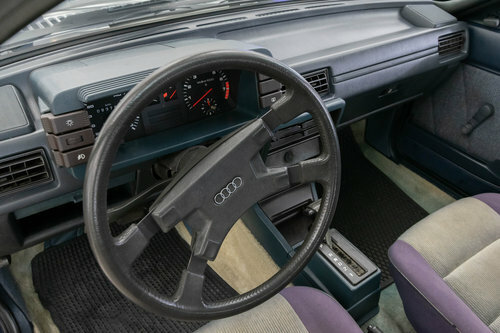 The confusion was not undesirable, after all, a lot more money changed hands for the much rarer Audi quattro! 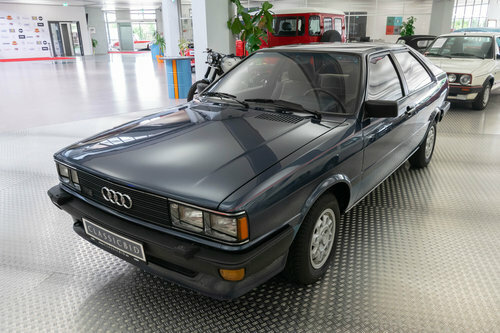 In 1981, Audi brought a sports coupé on the market, which was based on the Audi 80 B2 (type 81) and in turn became the basis for the legendary Audi quattro. 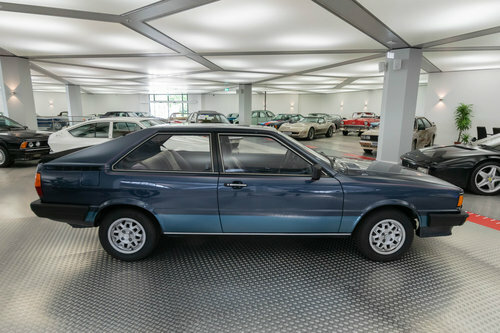 The coupé and the “80” were identical to the a-pillar apart from the striking twin headlamps of the coupé. 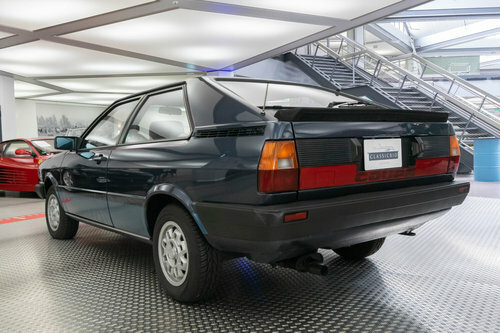 The most noticeable features at the rear were the high, narrow taillights and the light band. 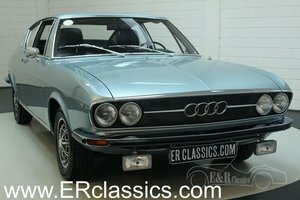 5-cylinder engines were available for the GT, as well as the tried and tested 4-cylinder motors from the Audi 80 for the GL. 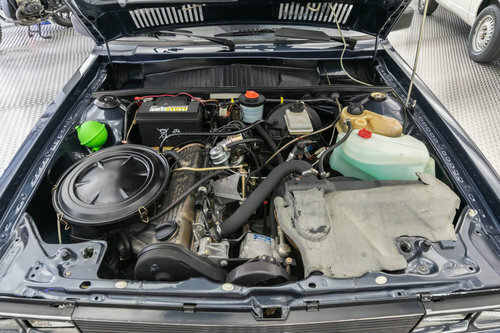 Coupes of the first model years with GT equipment can be recognized by the darker foiling of the body below the bumpers and side skirts. 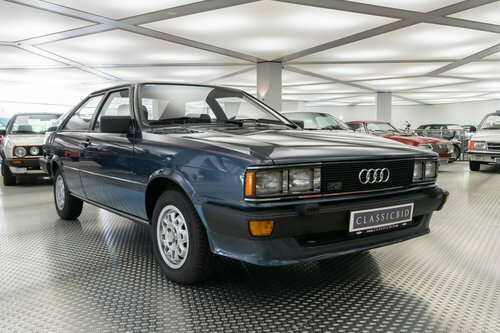 After the facelift in the summer of 1984, the cars featured bulkier front and rear sections, bevelled headlamp lenses and the rear spoiler of the quattro - which made them look alike even more. 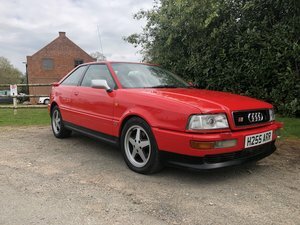 By the time production came to an end in 1988, just short of 175,000 coupes had been built.